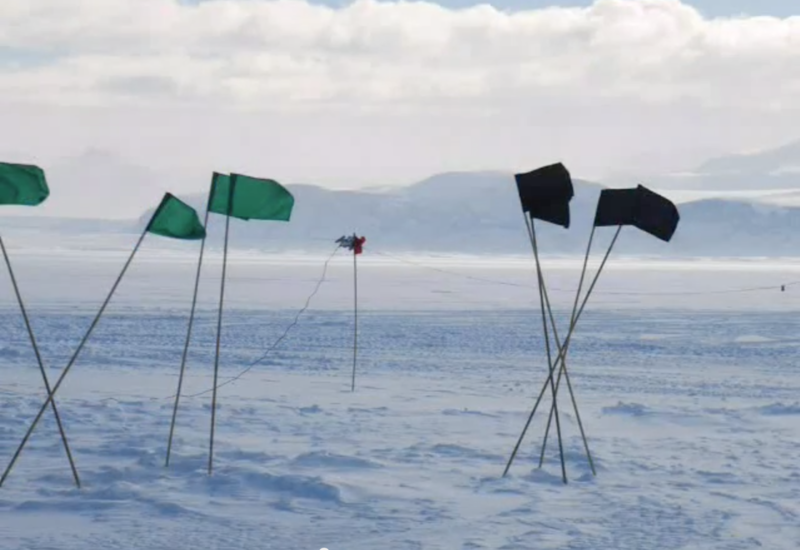 Still from MSV Line 4; An Antarctic Sound Collage (2009) by Julia Dooley, shown at the IPY Oslo Film Festival, viewable here. Join us for a screening of Werner Herzog’s 'Encounters at the End of the World' in connection with Julia Dooley's installation in our Sailing Stones exhibition. Julia Dooley is a science educator and artist. Recognizing the pressing need for scientific research to be better understood by the general public, Julia’s practice has a focus on engaging non-scientific communities in science research through art. 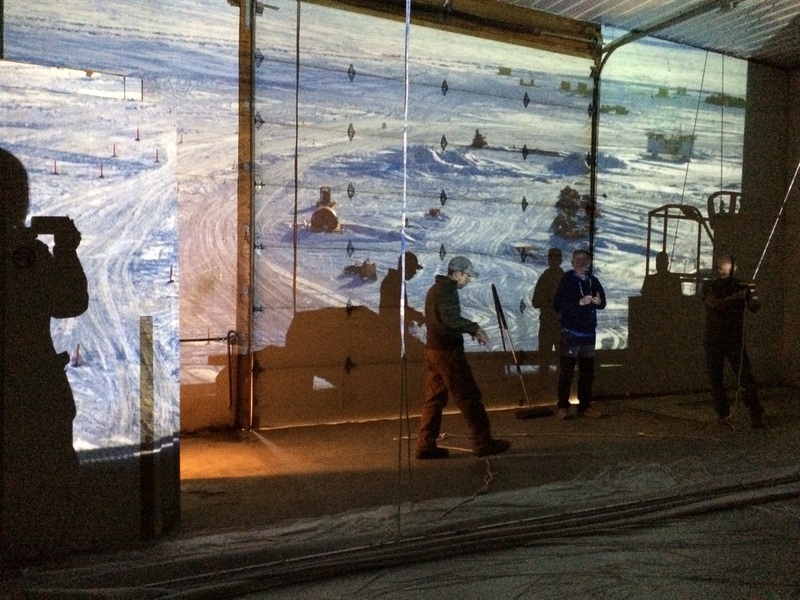 In 2007 she was selected as one of five educators from the United States to participate in climate research with Antarctic Geologic Drilling﻿ (ANDRILL) and spent two months in Antarctica photographing, with the idea that sharing this work would help others understand the enormity of the place, and at the same time the purposes and processes of polar research. For Sailing Stones at Street Road, Julia shows a selection of this work on a large scale, projected at 25' wide by 14' high. Images from the Bottom of the World envelops and at the same time engages the viewer in glacial structures, ice patterns, and land formations that contribute to Antarctic ocean sediments. 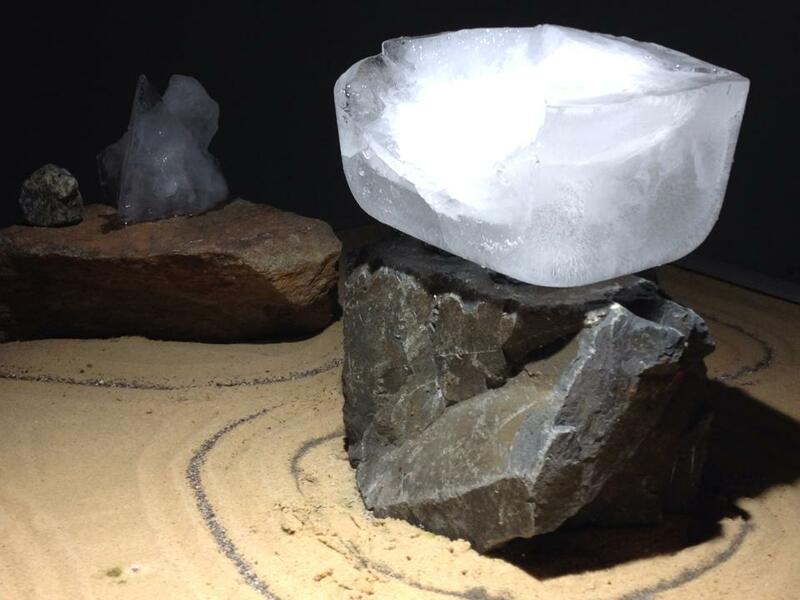 Her CryoZen Garden complements this and operates as visual metaphor, modeling cryospheric processes and exploring the effects of a warmer global climate. The traditional Zen garden is used in the practice of meditation to calm by drawing attention to precisely raked sand patterns and steadfast rock. Here, tranquility is disturbed. CryoZen Garden is composed of sand and rocks that have been collected from around the world, including the polar latitudes; here representing oceans and continents. Blocks of ice representing ice sheets and glaciers melt slowly over the course of the exhibition. The melt water drips and pours into the neatly raked lines, creating jarring interruptions, sink holes, disturbed currents. The sound of runoff water is discordant with the perceived static tranquility. The ice continues to melt, ocean levels rise, and shorelines are submerged. The project is about the moment when the ice melts enough to alter the perception of perfect balance. Coming to the end of the show and summer, the temperatures have been on the rise and so has the amount of ice used in the CryoZen Garden. Much like having a glass full of water, when more ice is added to the closed system, flooding occurs. In this case since the ice sits atop a rock pedestal, just as with Earth's land-based ice, the ice melts, the melt water flows into oceans, ocean level rises. ...and in this case, its starting to spill onto the floor. Julia Dooley holds a BFA in Photographic Illustration from the Rochester Institute of Technology and an MEd from Wilmington College. She teaches science and is a Talent Development Teacher with the Christina School District in Wilmington, Delaware, and is a founding member of Polar Educators International.